A critical resource for anyone with a cancer diagnosis. 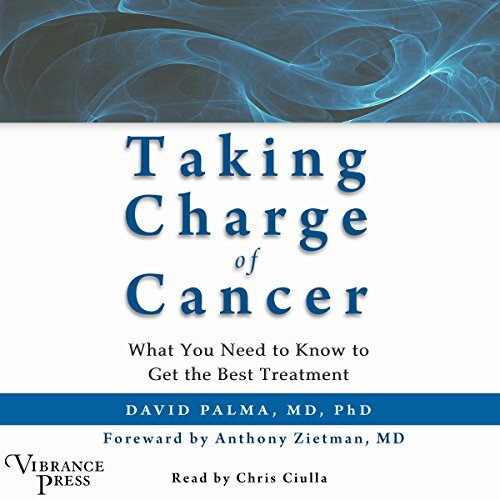 Written by a radiation oncologist and cancer researcher, Taking Charge of Cancer offers an insider's guide to understanding and receiving the best treatment options, choosing the right medical team, and approaching this difficult time with knowledge and hope. Receiving a cancer diagnosis can be terrifying, and the first thing you probably want to know is: how am I going to survive this? Cancer care requires decisions from numerous professionals, delivering treatments that are potentially life-saving, but also potentially dangerous and life-threatening. The chances of cure and survival for any given patient depend on the expertise of the cancer team, and whether procedures are in place to ensure that cancer care is delivered properly. So, how can you make sure you choose the right treatment team and ensure the best chances of survival and long-term health after being diagnosed with cancer. Taking Charge of Cancer is a different type of book for cancer patients - one that goes beyond the cancer information that is currently available, allowing you to truly take control of your cancer treatment. You'll learn how to obtain and understand medical records, and why these records are critical to your care. You'll also find the tools you'll need to determine if the recommendations made by doctors are in keeping with accepted treatment guidelines. You'll discover how doctors use evidence to decide which treatments are best, as well as how doctors can become biased in their recommendations. And, most importantly, you'll be able to evaluate whether surgery, radiation, or chemotherapy make the most sense in your specific case - and whether or not these serious treatments are being delivered effectively and safely according to the highest standards. Now that you've received a cancer diagnosis, it's time to set a plan in motion for your recovery. This book will help you do just that - every step of the way. A must read for those in cut.burn.poison land. I gave it a 2 because he down played holistic approach. He did tell the truth about the errors that commonly accur on your journey by your doctors. And gives Helpful guide lines on how to be knowledgeable in your recovery. This should be a bible given to all cancer patients AND the oncology team. It deserved a 5 for its intent to help other's help themselves by becoming informed. More doctors need to be centered on the Well being of humanity and Become aware of the truth about Alternative Natural resources that cure cancer. The paradigm is in the Cancer Awareness Truth realm. It's a profitable business with limited choices controlled by the government. But doctors opening their minds and hearts joining education about what alternative methods that are proven CAN be the critical eliment for change; by becoming the historians of radical remissions. Read the Truth About Cancer before you make treatment decision. God bless you all finding the need to read this book but do Take Charge, it's the ONLY way you will survive.